For more than 35 years, Cinquiéme Sens in Paris has been the global leader in perfumery training and olfactive experiences. An independent and objective perfumery training centre, Cinquième Sens is an institute fully dedicated to olfactive education. 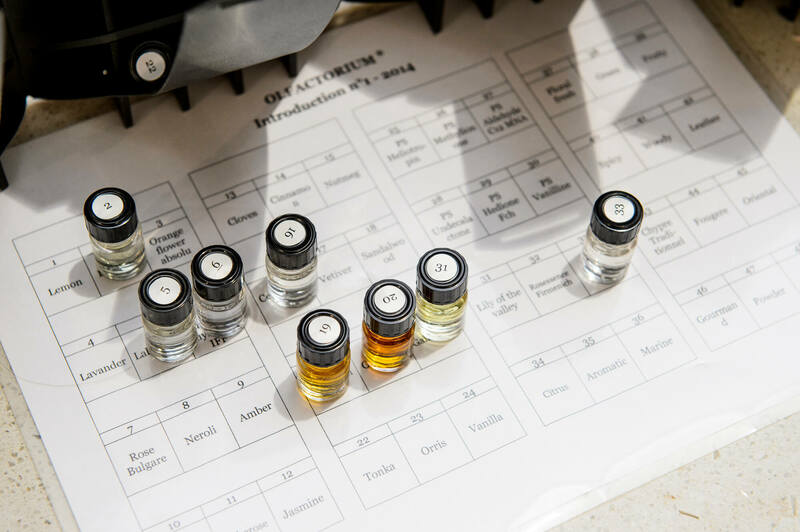 Each class is adaptable for individuals and companies and uses the Olfactorium®, a unique minature Perfumer’s Organ to give students the opportunity to experience raw materials, natural and synthetic. Cinquième Sens was founded in 1976 by Monique Schlienger, a former teacher in olfaction from the famous ISIPCA school in Versailles. She was taught by Jean Carles, the perfumer and creator of a training technique that is still used in perfumery schools today. Now directed by Isabelle Ferrand since 2004, Cinquième Sens specializes in fragrance training, creation, events and counseling and has expanded its operation internationally in Europe, New York, Brazil, Dubai, Singapore and now Australia and New Zealand in partnership with The Powder Room. Clients include Chanel, Cartier, Bulgari, Parfums Dior, Guerlain, Hermès, Sisley, Givenchy, P&G, Puig, BPI, IFF, Givaudan, Sephora and many other industry leaders. We are pleased to present the below classes. Not just for the professionals, also for novices, aromaholics and the ocassional sniffer! An introductory session into the intriguing world of perfume. Guests will learn of the origin of perfume, perfume throughout history, perfumers training and will be able to experience the raw materials that are the building blocks of perfume using the Olfactorium®, a unique traveling perfume organ developed by and exclusive to Cinquième Sens. Learn how fragrance is created and how to select a new perfume. At the end of the class, guests are invited to create their own fragrance using the Olfactorium ® containing the finest raw materials from the worlds leading suppliers in Europe. For sales assistants wishing to learn how to sell perfume. This class is not brand specific; it is designed to give sales staff the tools to help their customer select the perfect fragrance in a quick and efficient manner. Learn how fragrance reacts differently with each skin type and how each perfume has a personality and how to apply that to help improve sales techniques. Understand the difference between analytical description and emotional perception. A two day class for professionals within the perfume industry who wish to deepen their knowledge of perfume. Suitable for Brand Managers, Marketing and PR staff or those who wish for a greater understanding of the perfume industry in general. Perfumers training, how fragrance is created from the moment of conception to the finished product in the shelves, an in depth review of natural and chemical materials used in perfumery by family, as well as the extraction techniques is all covered.. Learn the language of perfume and how to use it in marketing and training material and how to identify key notes and accords.